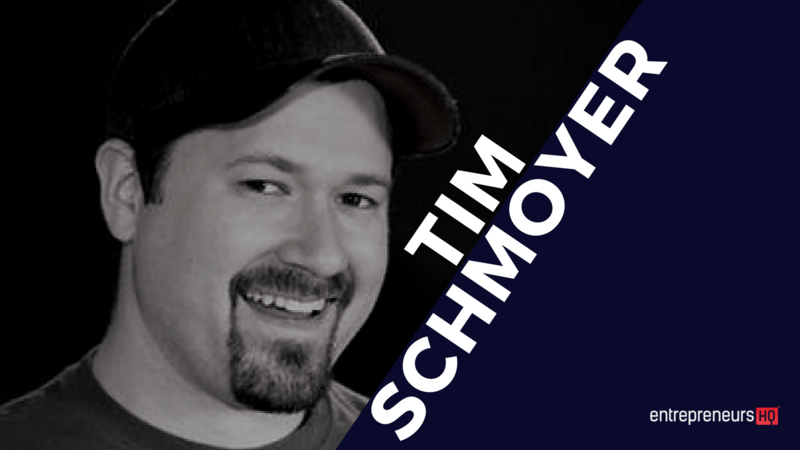 Tim Schmoyer is the founder of Video Creators and trains creators to grow an audience on YouTube. The expertise he shares on his company’s YouTube channel is followed by almost 200,000 other YouTube creators, making him one of the most influential YouTube strategists. He started as a creator himself in 2006. Since then, he’s personally created over 3,000 videos and amassed millions of views for himself and even more for his clients. More views on your YouTube videos from better titles and thumbnails. I think we all know the very first thing someone sees about one of your videos before they click on it, is the title and the thumbnail. It’s impossible to get anyone to join your community and start engaging with your videos if they don’t click on it in the first place. The first thing you really had to consider is how you’re crafting very enticing titles and thumbnails because it is the very first thing that a viewer will see about your video. A couple of quick things on how to improve your titles and thumbnails so that you get people on that journey with your content. There’s are a lot of common mistakes I see a lot of creators making. One, the title needs to tease a story or put value in some way. A lot of people I see, they just merely describe the content rather than if it’s a narrative based content, like pitching or teasing the story, or if it’s an educational teaching type of content pitching the actual value. Rather than just saying what it is, make it so it’s like, “Oh Yes! I need that!”, or “Oh yes! That sounds enticing!”. Use your thumbnail to complement that title. Talk about the reward or the benefit that the viewer will get as a result of watching your video for an educational sense context. That’s way better. I did a video on my channel, it was about two-step authentication which for those who don’t know, that is basically you need to log into your account you need both your username and password and a device. something that you don’t like, in this case a phone sends a text message so you can type the code in and you can login. But that’s the answer, that’s the solution. When in the title of the video, I title after the problem people are searching for which is, “How do I protect my YouTube channel from being hacked”. Now someone knows why I should care about 2-step authentication. If I just titled that video “How to enable two-step Authentication in your channel”, the only people who would find that are the people who already know what two-step authentication is and they’re searching for the solution. But rather than searching for that, here’s the problem “How to protect your account from hackers” and then I introduced them to two-step authentication. Now they know why I should care about 2-step authentication in the first place. Title your videos in a way that’s very enticing and don’t just merely describe what the content is but say why. It’s why the viewers should care. 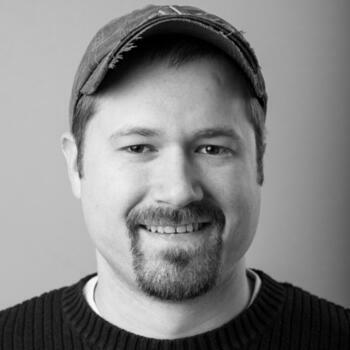 Keep your keywords in mind but write primarily for a human. If a person saw this would they be enticed. Even if it’s not perfect, like all your keywords are crammed in there. As far as thumbnails are concerned, high contrast, bright colors, high contrast in the foreground and background so they’re not blurred together and very clear. Most people these days see a small thumbnail on a mobile device which accounts for more than half of YouTube’s traffic now. You got to optimize this so that is clearly discernible at a very small what’s going on in that thumbnail. It means bright colors. It also needs to complement the title very well and focus on the visual. A lot of people cram a lot of text into their thumbnails and forget that none of that text in the thumbnail is index-able (Google). They have no idea so what text is in your thumbnail. If you do put text in your thumbnail, make sure that it’s complementing and not just repeating the title. Use very little text. Text usually works better on “how-to”, “tutorial” type of content and just a really strong visual tends to work best on a narrative type of content. As far as colors are concerned, there’s some evidence that suggests using a yellow sunburst (Not just a color yellow burst but it’s an alternating stripes coming out – search Google for some bursts) and using yellow, tends to get more clicks than any other color. Even better way is if you go up the left side of your thumbnail and you just brand it, whether in the upper left corner or bottom left corner or just a stripe down the side with all of your thumbnails across your channel, what happens then is if when someone’s watching someone else’s video but you have three related videos, in this video number three, seven and ten on that bar next to the video, because your eye is drawn to patterns, they will notice your video at three, seven and ten more so than the others. Statistically speaking, you’ll get more clicks than on your videos from related traffic because I notice that pattern from having that sidebar branding or pattern on the left side of your thumbnail. A bonus tip there for you.